Before the bachelorette festivities began, we had lunch at Baba’s Pierogies. There were five of us, and each order comes with five pierogies, so of course we got five different flavors. The macaroni and cheese pierogi (pictured above) was my favorite. 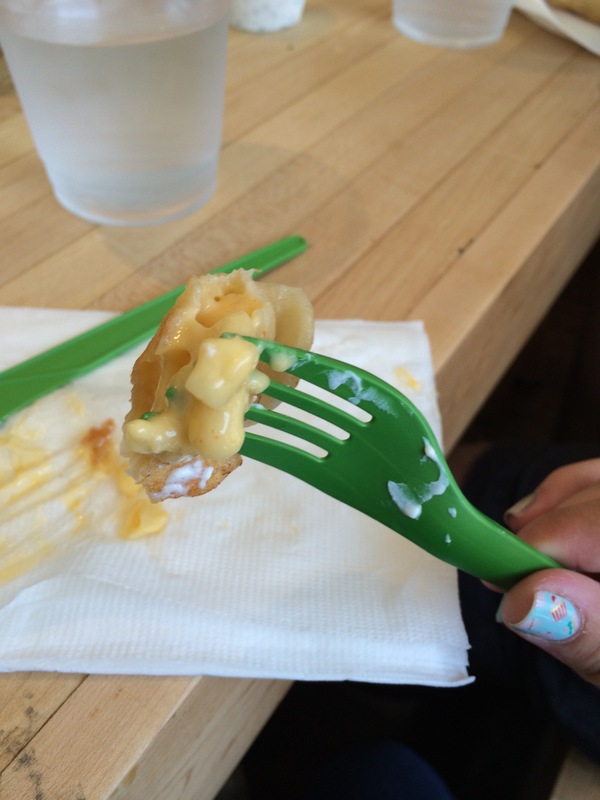 Honestly, I’ve never had anything macaroni and cheese that was bad. The other flavors were cheese, potato and cheese, bacon cheddar, and spinach and feta. Laura’s fiance Colin’s favorite was the bacon cheddar, and the spinach and feta was the favorite of Laura and Colin’s sister Carly. After completing a scavenger hunt at the Metropolitan Museum of Art, we went up to the rooftop cafe for drinks. The alcoholic version of the drinks were more than double the price of the virgin versions, so I chose the mocktail! 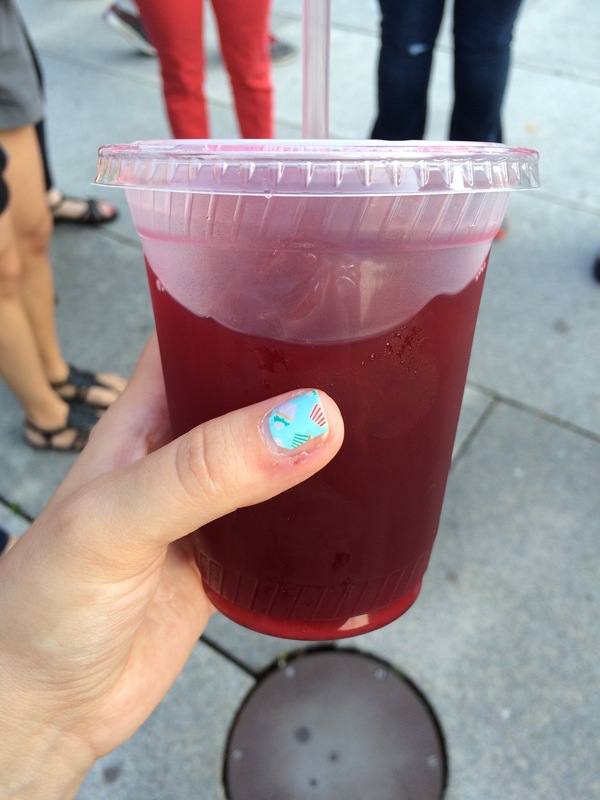 It was blackberry-lime pomegranate. It had a little bit of a tartness thanks to the lime, but enough sweetness to even it out. Dinner was at an Italian restaurant called Becco, where the majority of us chose the Sinfonia di Paste. How can you resist something called a pasta symphony? The way it worked was that there were three pastas of the night, which were continually brought around by waiters. You could have as much as you wanted of one, two, or all three pastas. Basically, it was heaven. 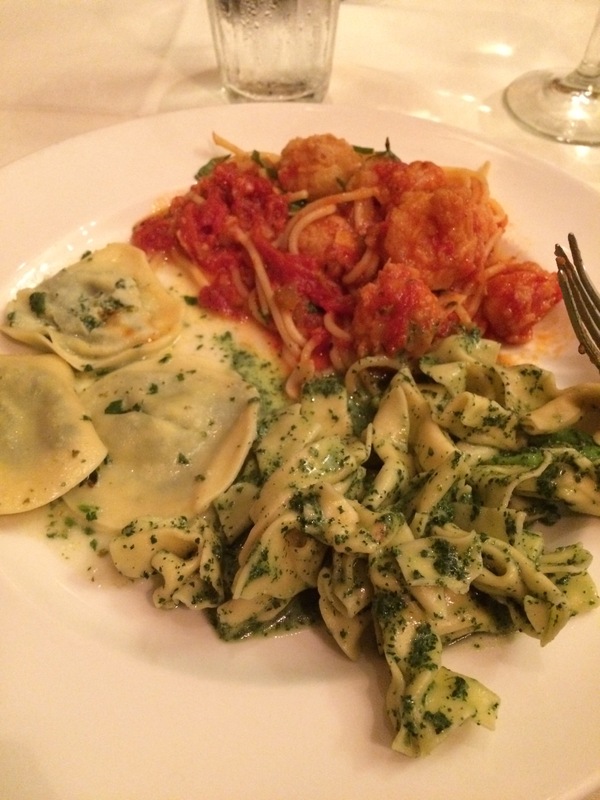 The choices were spaghetti arrabiata with fried shrimp (top), farfalle with pesto (right), and spinach and cheese ravioli in a brown butter sauce (left). My favorite was the pesto, although I was surprised by the arrabiata. I never would have picked the spicy sauce, but it was good! Sadly, we ended up getting dessert at the bowling alley we went to afterwards, which was nothing special, so no photos of that. 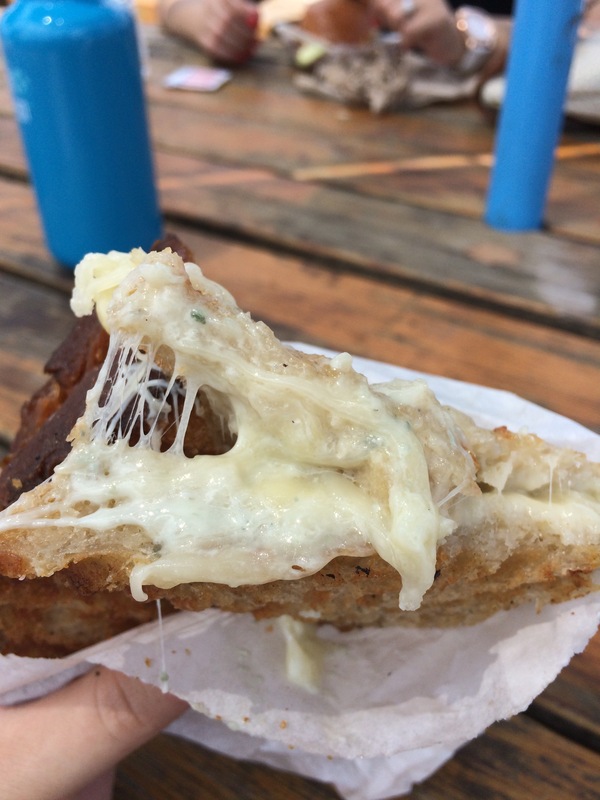 On Sunday, we had to go to Smorgasburg. Yes, we went on last year’s trip as well. Trust me, you would too. 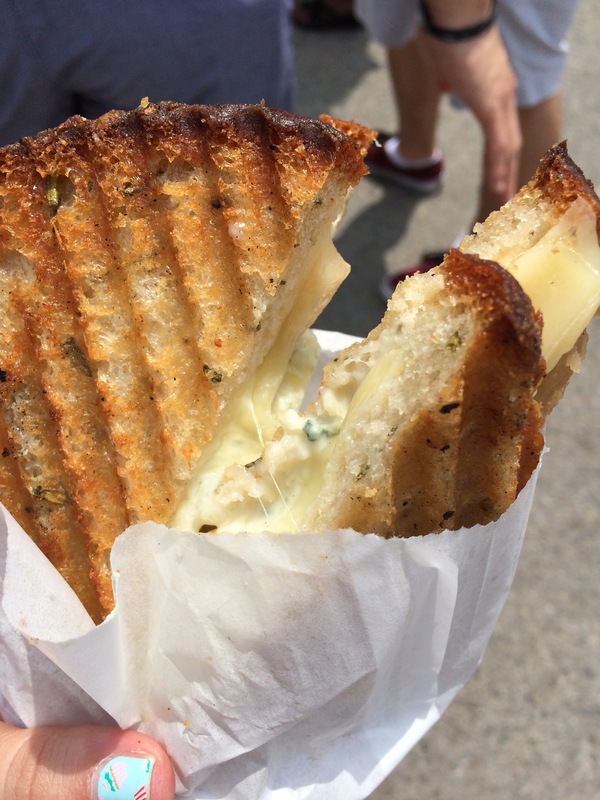 I got lunch at the Milk Truck – the three cheese grilled cheese. It was gruyere, cheddar, and blue cheese with Granny Smith apples on rosemary bread and it was AMAZING. LOOK AT ALL THE CHEESE. I couldn’t even finish it. After that, I was extremely hot and thirsty. It was a few hours away from pouring rain, so although it looked like a beautiful, sunny day, it was incredibly humid and disgusting. Fortunately, Smorgasburg has a solution to every culinary need. Enter the white peach Arnold Palmer slushie! Kelvin Slush had a ridiculously long line, and rightfully so. 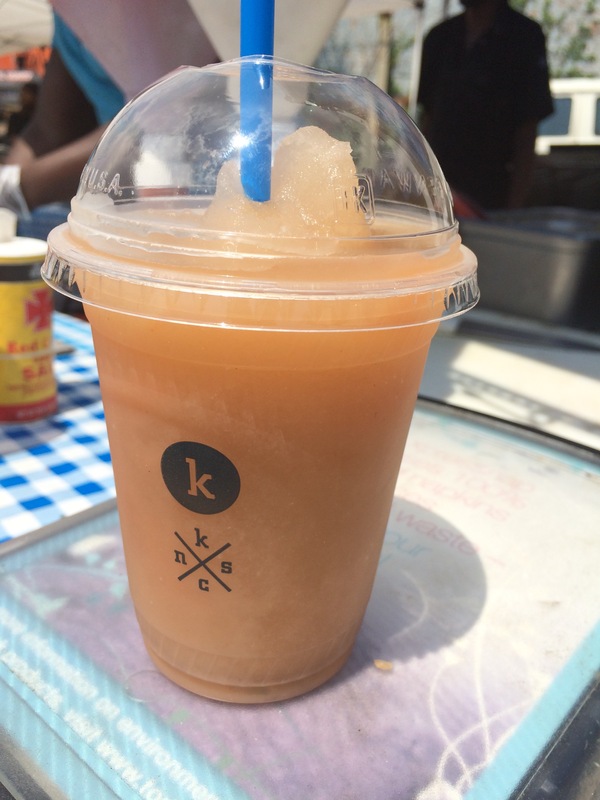 The way they’re set up at Smorgasburg, they have two slush bases – citrus and Arnold Palmer. Citrus is similar to a lemonade, and the AP is of course the citrus blended with tea. So you choose your base, then add a flavor! It was a close call between this and strawberry citrus, but I think I made the right decision. When my slushie was gone, I was legitimately sad. I actually just looked up whether their slush bases are sold in stores, and was temporarily excited when I saw that they are sold at Whole Foods in North Carolina! And then I saw the locations – Charlotte, Wilmington, Winston-Salem. Noooooooooo. Come on, where’s the love for the state capital?!?! 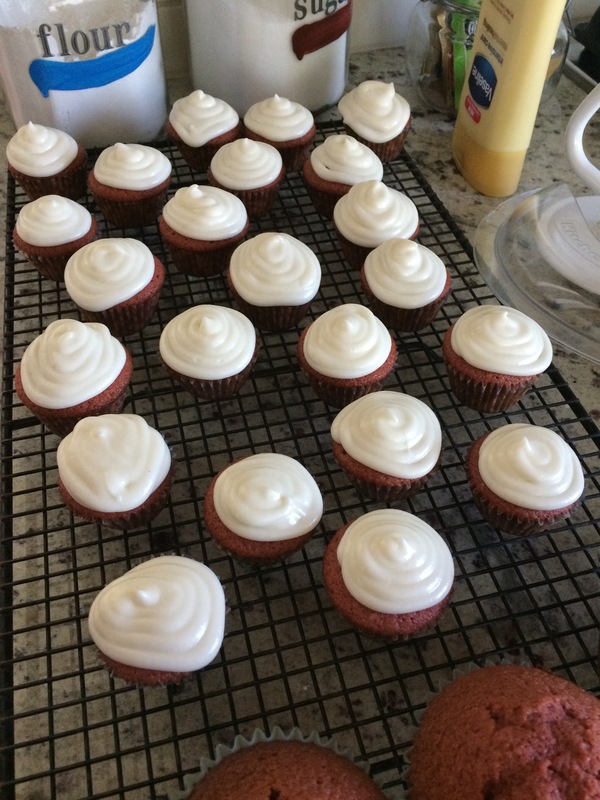 The last stop I made was Whimsy and Spice to get dessert to take to a friend’s house the next night. I actually got s’mores bars for that, but neglected to take a picture. Oops! But I also got some honey lavender shortbread to take home, and that was a very good decision! 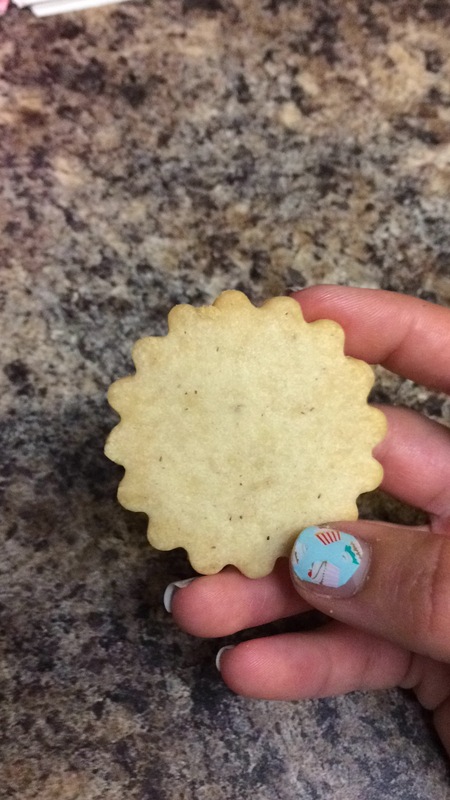 A shortbread cookie is something I haven’t attempted yet, and when I do, I hope they come out like these. Perfectly light, almost melt-in-your-mouth, with just a hint of lavender and sweetness from the honey. I’m glad I made the last-second decision to take them! And that’s all for this trip! There would have been one more dinner and dessert, but I accidentally left my phone at the apartment, so no pics. Don’t worry – plenty more to come in August!